"Our software manages big data and needs a robust database, since data history must be included as well; we were looking for a unique database able to tie together Linux and Microsoft architectures. MySQL is able to meet Inpeco's needs and can also support our overall sample traceability program that starts at the collection point, with our ProTube solution." Inpeco SA, based in Switzerland, is a pioneer in developing robotic solutions for automating and tracking the sample path in the Clinical Laboratories. Their solutions improve data traceability and process efficiency throughout the Laboratory workflow, from the beginning of the tube journey (at collection point) to the end, including any step in pre-analytical, analytical and post-analytical phases. FlexLab is the trademark name for Inpeco's total lab automation solution that manages the tube processing, inside the Lab. It has been designed to provide hospitals and laboratories the freedom to connect analyzers from different suppliers and to extend the open approach to the largest possible portion of samples to be analyzed (e.g. for different analytical specialties). Inpeco SA is a pioneer in developing robotic solutions for Clinical Laboratories. As a result of being open, modular, scalable and fast, Inpeco Automations have achieved the leadership position in their market. Simplicity: the platform needs to be simple to operate for Inpeco's non-IT customers (clinical labs, hospitals). Scalability: Inpeco's automation track sizes vary depending on the customers and can grow according to their evolving needs. Value for money: Inpeco needed a reliable database solution with high performance and with competitive pricing model. Innovation: Inpeco is built on innovation and it was imperative that their database choice would be able to offer more features as the Inpeco Automation evolves. The Sample Management System (SMS) which controls all the components of the automation, controls the deposition and routing of specimens, monitor where they are and where they should be. SMS is designed with the LabVIEW programming environment and runs on Windows. The Data Management Software (DMS), a software application that interfaces with the hospital and laboratory information system, receiving the orders from the labs and sending the results back once they are processed. DMS is written in PHP and runs on Linux. 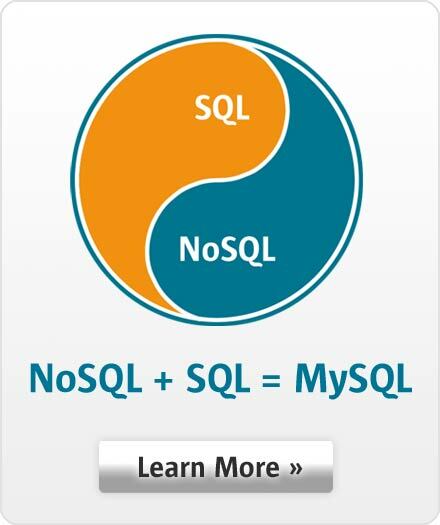 MySQL Flexibility: is designed to run on multiple platforms and operating systems. It is the ideal choice allowing Inpeco to use the same database technology for both SMS and DMS applications, running on Windows and Linux respectively. MySQL Scalability: sustained performance and scalability allowing Flexlab to handle ever increasing users, queries and data loads. MySQL Reliability: MySQL Enterprise Edition is an enterprise-grade product that Inpeco can rely on 24/7. Lower Database TCO: allowing Inpeco to deliver a high performance, competitive solution that does not require specialized skills to be operated. MySQL innovation: Inpeco's vision is built around constant innovation. It is committed to continuous improvement of its Automation systems, to maximize customer satisfaction. MySQL Enterprise Edition is enabling Inpeco SA to rapidly evolve FlexLab into a robust solution, while optimizing development costs and efforts. "Our software manages big data and needs a robust database, since data history must be included as well; we were looking for a unique database able to tie together Linux and Microsoft architectures" - says Paolo Sestini, Systems Architecture Manager. "MySQL is able to meet Inpeco's needs and can also support our overall sample traceability program that starts at the collection point, with our ProTube solution." Inpeco is innovating rapidly by delivering a remote real-time monitoring system that is going to be installed for all Inpeco Automation systems, deployed worldwide for proactive maintenance. MySQL Enterprise Monitor, a key component of MySQL Enterprise Edition, is what Inpeco is relying on for this project. Francesco Colloca, Supply Chain Manager, adds: "We were not just looking for a supplier, but we needed a partner to help us make our solutions outstanding; we needed excellence during both the development and the post sales phases, with an eye on value for money. Oracle MySQL and Oracle Team were the perfect fit for us."